Aerial photography held a special place in the business of legendary airline Swissair. Before founder Walter Mittleholzer entered the field of civil aviation, he trained as a photographer, and the airline had a subsidiary photo company, Swissair Photo AG, which continues today as BSF Swissphoto though the airline ceased operations in 2001. The company has taken upwards of 100,000 pictures of landscapes, towns, and villages, along with industrial plants and individual buildings in Switzerland and around the globe. Swissair Aerial Photographs reproduces these beautiful, striking, and informative photographs. These images reveal the changes in landscapes and towns over nearly a century, documenting the growth of city infrastructures and urban sprawl as this idyllic agricultural country has evolved into one of the most densely inhabited places in the world. The photos are also an inventory of untamed rivers, orchards, receding glaciers and moors, shrinking agricultural areas, and vanished historical buildings. 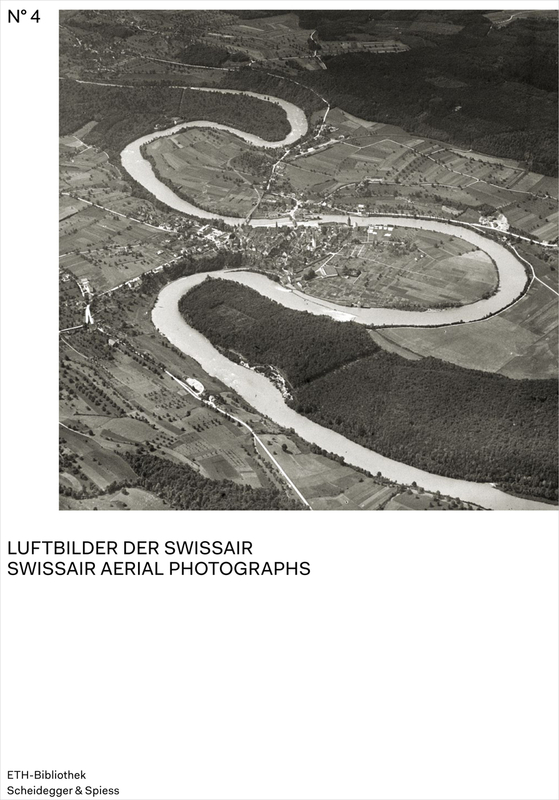 With an introductory essay that explores the contents of the collection now held at ETH Bibliothek and what can be read from these images today, Swissair Aerial Photographs provides an illuminating look at the history of aerial photography in Switzerland.